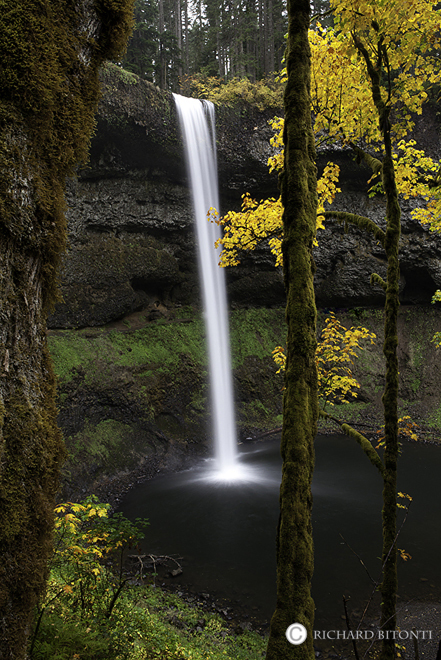 The South Falls in Silver Falls State Park is the largest and most impressive of all ten falls in the park. Situated within the foothills of Oregon’s Cascade Mountains, Silver Falls State Park, located 25 miles east of Salem, is the largest state park in Oregon. The South Falls is the most visited falls in the park. Photo © copyright by Richard Bitonti.